Twelve years ago Laura Howell took a leap of faith and jumped into the colourful world of Dennis the Menace and Minnie the Minx. She’d long dreamed of being a cartoonist but pursued a career in publishing believing she wasn’t good enough to draw professionally. 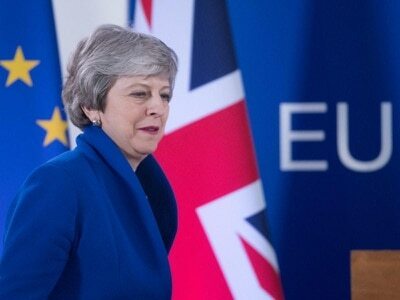 But just before her 30th birthday Wolverhampton-born Laura decided it was ‘now or never’ and enrolled on a course aimed at wannabe comic book artists. Her creative talent spoke for itself and she went on to become the first female cartoonist to produce a regular strip in The Beano. “I’d always drawn for fun for as long as I could remember but I never had the confidence to try to do it professionally. 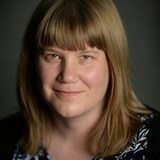 “I got to my late 20s and I needed a new career as I had gone as far as I could in my job as an editor for a children’s book publisher. “Just as I’m approaching 30, I think if I don’t make a leap of faith and see if I can do this, I almost certainly never will. “Then, as a sheer, happy coincidence, there was a course running in Birmingham aimed at helping people break into the comic book industry. “I got a place and it gave me the push I needed. One of the tutors was Hunt Emerson and I helped him with his strip for The Beano and this got my work on to the editor’s radar – and I’ve worked for them ever since. “The really nice thing is that a new incarnation of that course is now running in Birmingham and I’m an assistant tutor. So, in 12 years time you might be interviewing one those students,” she tells Weekend. The Beano has been bringing fun and silliness to generations of children for 80 years having been published for the first time shortly before the outbreak of the Second World War. As well as much-loved icons Dennis, his dog Gnasher and Minnie, it’s known for many other colourful characters including The Bash Street Kids, Roger the Dodger, Billy Whizz and Tricky Dicky. Laura attributes the comic’s enduring appeal to its many lovable mischief-makers, saying: “It’s always tapping into that love of pushing back against authority. “There isn’t a single kid on the planet who doesn’t want to rebel against parents or teachers or other bossy grown ups. The Beano encompasses that with kids that are wild and naughty. “That’s a big thing with Walter who is Dennis’ nemesis. He used to be a wimp but over time he’s changed and you can see he’s a kid that wants to be a grown-up. “He wants to follow the rules and likes to tell people what to do. He’s the opposite of Dennis and that’s why he’s his nemesis,” explains 42-year-old Laura. During her time with the Beano, she has drawn the likes of Tricky Dicky, Beano Boss and Meebo and Zuky. “Meebo and Zuky are a cat and dog who act a bit like Tom and Jerry. “It’s basically cartoon violence as they are usually being cruel to one other like Meebo putting Zuky in an acid bath so you can go a bit crazy. It’s all good fun to draw,” she says. Laura, who lives in Northfield, Birmingham, recently began drawing a weekly strip starring ‘everyone’s favourite maniac in a beret’ Minnie the Minx. “I’ve always drawn naughty boys – they are a staple of The Beano – so it’s nice to be drawing a naughty girl,” says Laura, who also works as an artist for Regular Show on the Cartoon Network. For each strip she draws for The Beano she will receive a script from the writing team and her job is to bring the story to life. “We work about six weeks ahead and it works like a film script. The writer describes what’s going on and who is speaking. “It might say Minnie’s mum is getting ready to go out and her dad is reading the paper. “The trick is to work out how you’re going to break down into the panels. As it’s read left to right you have to make sure the panels go in the order that the characters are speaking so if Minnie’s mum speaks before her dad she will be on the left. “When drawing established characters you have to make sure they always look exactly the same especially if you’re drawing Dennis the Menace as he has to be absolutely spot on because he’s the brand ambassador. “It’s takes about a day to go from nothing to a full colour page,” explains Laura, who also writes and draws for the girls magazine Sweet. First she will sketch out the story panels on a sheet of paper with pencil before going over the drawing on a fresh piece of paper with ink using a light box to make the outline she is tracing stand out. Then the strip is scanned so she can use her drawing tablet to colour in the different character scenes before the finished artwork is sent to her editors. 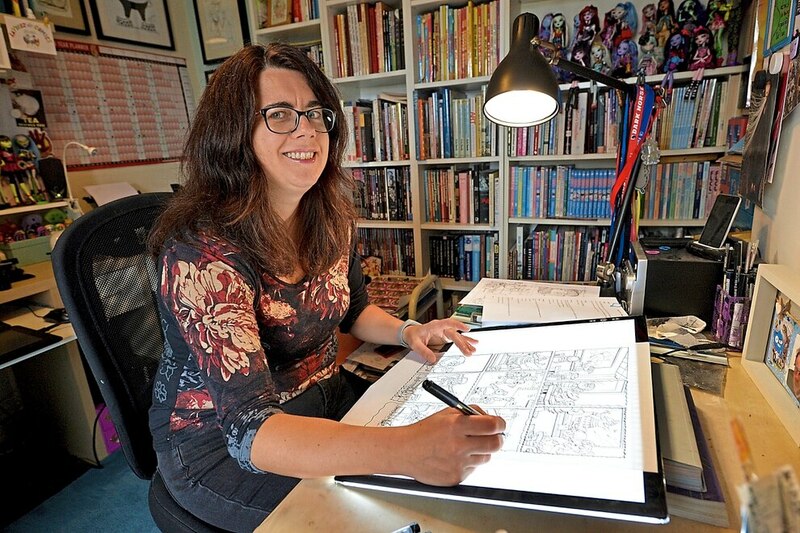 Even after 12 years as a professional cartoonist, one of the biggest buzzes of the job is seeing her work in print when The Beano is published every Wednesday. 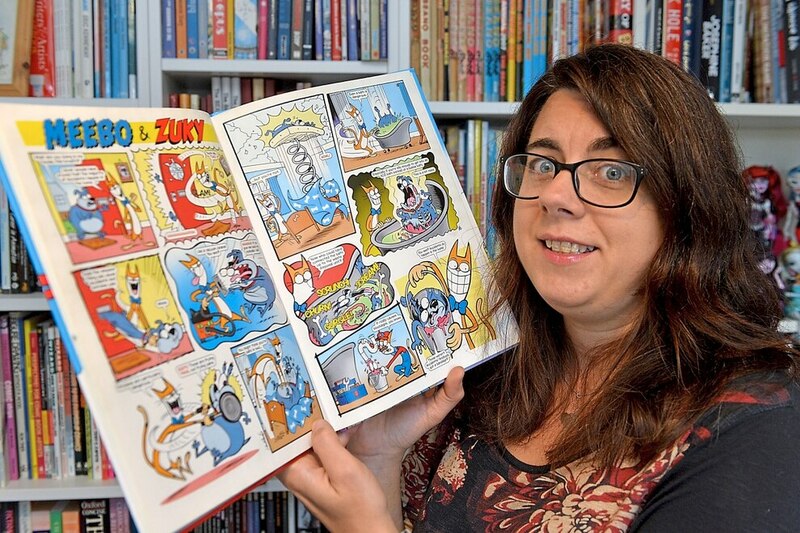 “I still like to go to Sainsbury’s and pick up a copy of The Beano each week to look at what I’ve got in that issue,” Laura, who grew up reading the comic, tells us. In 2015, she produced her own comic book The Bizarre Adventures of Gilbert and Sullivan where they are depicted as Victorian superheroes. Another of her creations was quirky character Eerie who she says is good-hearted but has a short attention span and is prone to getting into trouble. Laura says she would like create more of her own work from scratch in the future but says it all boils down to having the right ideas. “I really envy those comic artists who are like a fountain of ideas. I find coming up with new concepts really hard. I have opportunities to pitch new projects but I need to find a good concept first,” she explains. The course for new comic artist talent, which Laura is involved in, is called Create the Break. It is run by Comic Creative Catalyst (CCC), which she also helped found, and works to provide more professional development opportunities for emerging cartoonists. The programme includes workshops and will conclude with students self-publishing a book of works and exhibiting this at the Birmingham Central Library. A campaign on crowd-funding website Kickstarter is under way to help fund the anthology. “It’s really exciting. The students learn different skills like drawing, inking and colouring. We are hoping to run it again next year,” says Laura. 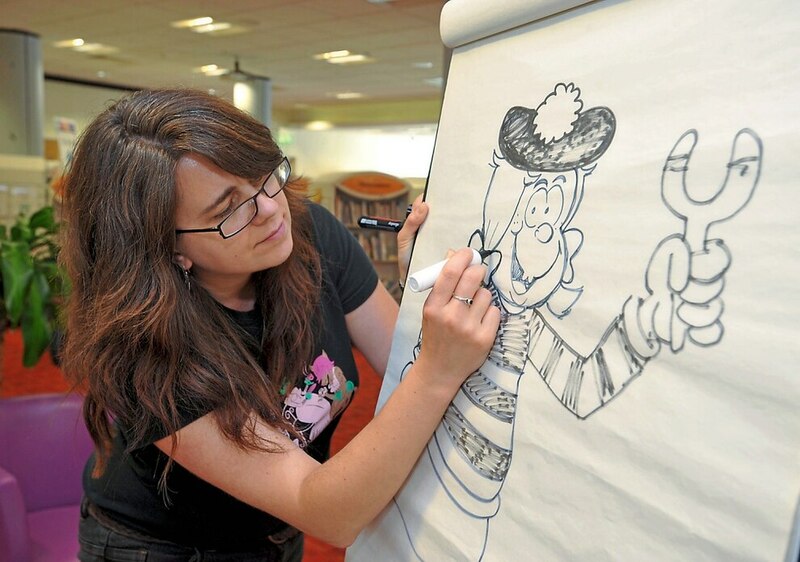 During the school holidays, Laura also led workshops helping young bookworms get creative at libraries across the region as part of The Reading Agency’s Summer Reading Challenge which this year had a Beano theme in honour of the 80th anniversary. “I run workshops every summer and this year I did 31 in six weeks. This summer has been fantastic. They children have really enjoyed it and have taken to the Beano theme,” she tells us. For Laura, the best part of being a comic artist is being able to make people laugh.